Practices must rethink their revenue cycle strategy as more financial responsibility is placed on the patient. Simply sending a bill after a patient visit is becoming less and less effective. Statistics tell us that once a patient steps outside the office door after a visit or procedure, the balance due is not likely to be paid, now or ever. We can no longer rely on the processes of the past. It’s what happens prior to and during the patient visit that has become the most critical part of the revenue cycle. 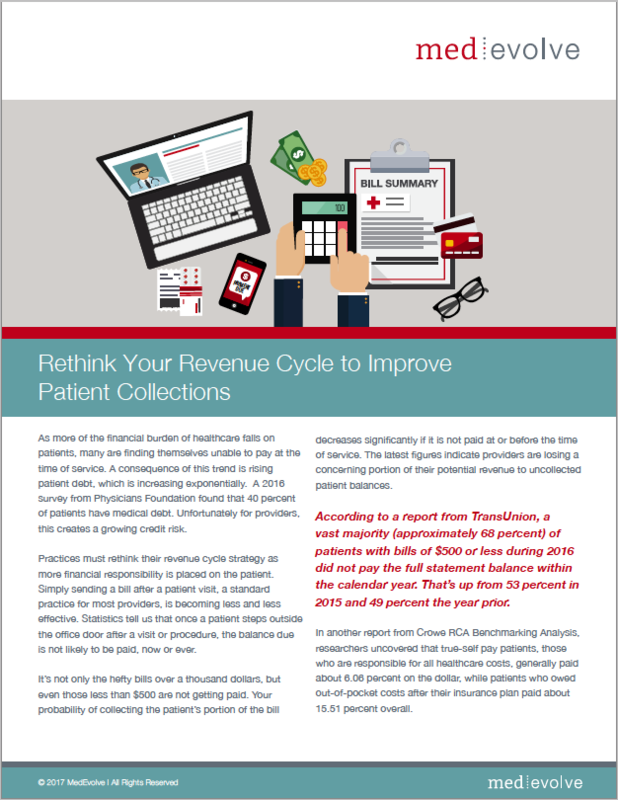 Download this article to learn revenue cycle best practices for maximizing patient collections!